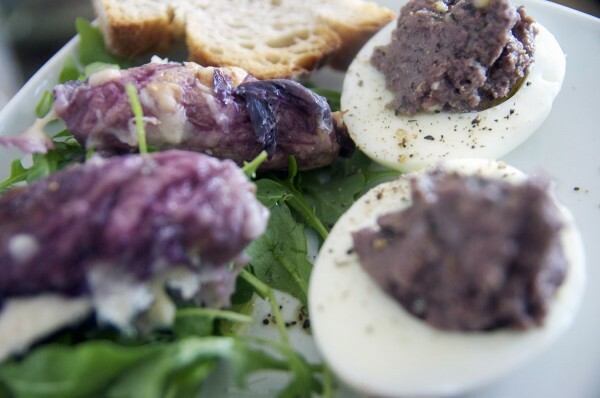 While browsing their website this recipe inspired my husband for a starter: he combined the Radicchio Recipe with the boiled egg with a heart of tapenade and presented them on a bed of ruccola with toasts. Both combined work really well. 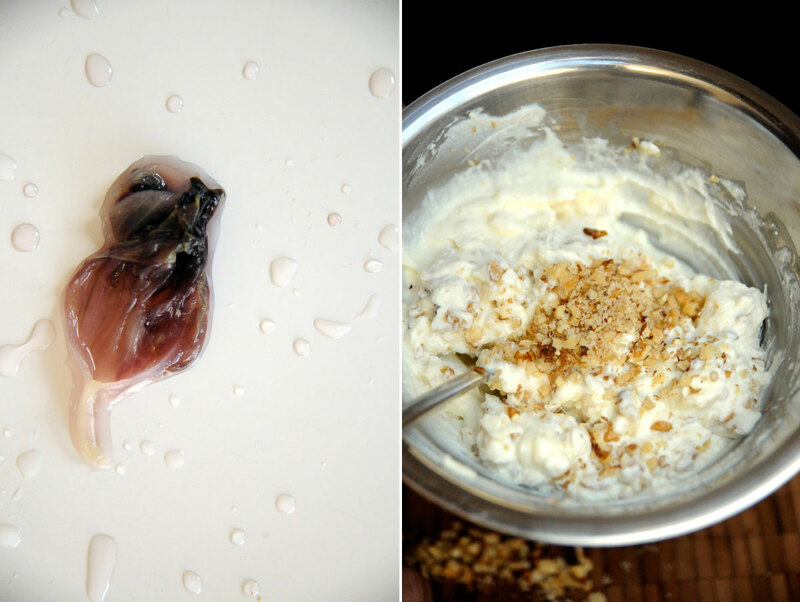 The saltiness of the anchovies and olives with the sweetness of the ricotta, the nutty walnuts, it was all very interesting and unusual. It tastes delicious, is simple to make and is a perfect starter. 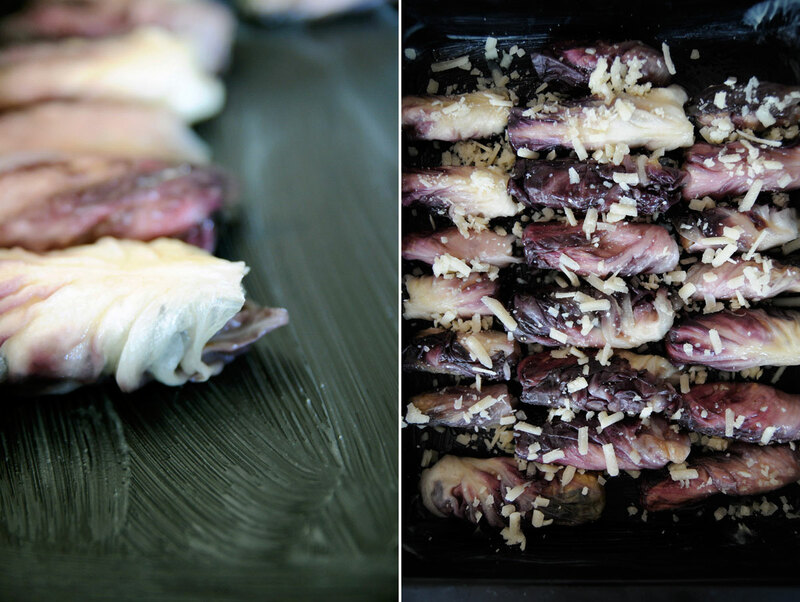 With 2-3 rolls you’re satisfied enough to be able to wait for the next course for 25min without losing your patience or starving. 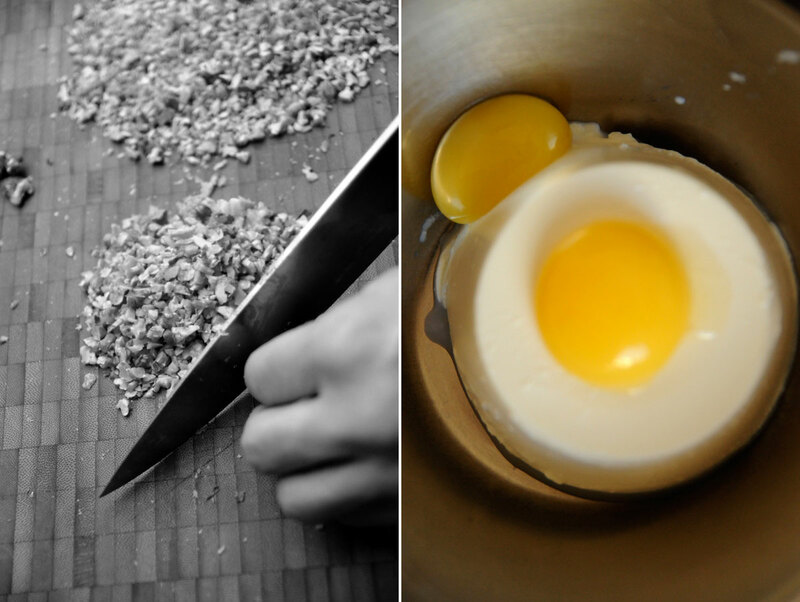 Chop the walnuts – add the egg yolks to the ricotta. 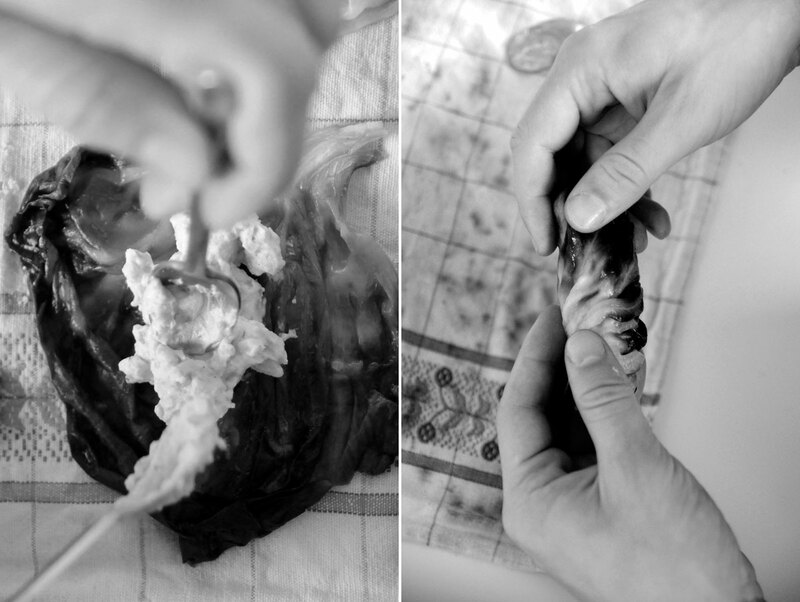 Once the radicchios are softened by the hot water and chilled by the icing water, dry them and fill with the ricotta. Place in a baking dish and bake with Parmesan.